Genuine Nissan Juke Luxury Velour Floor Mats Red Stitching KE7551K001S2 New! 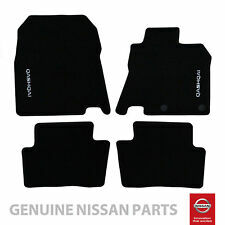 Genuine Nissan Qashqai New 2014 - Onwards Velour Carpet Car Floor Mats. "Qashqai" on the front mats. Suitable For 2014 - Onwards J11 & J11B. For the J11B (2017 onwards) model these mats will only fit vehicles without bose system. Extra Info: White Stitched QASHQAI Word-mark. Material: Textile Black Velour. Over the years, Nissan lived up to its reputation for excellence in engineering by playing a pioneering role in many fields of advanced technology. NISSAN QASHQAI 2014-onwards. Fully tailored car mat set in Black with Black Trim made from a durable650g pile carpet specifically designed for the automotive trade with an anti-slip granular rubber backing. Part number; KE7551K021. Nissan Juke 2011 Onwards Including New Shape 2014 Onwards. Set of 4 Carpet Mats (front & rear). 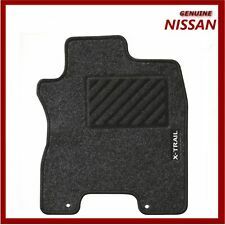 Nissan X-Trail Genuine Car Floor Mats Standard Textile Tailored Front & Rear x4. Nissan X Trail Model T31. Nissan genuine Soft Boot/Trunk Liner. Go ahead, drop your sports gear or muddy shoes in the boot - the trunk liner will keep your Qashqai clean and dry. Exact fit with "QASHQAI" embossed. Nissan Qashqai J11 (2014-Onwards). 5 out of 5 stars - Genuine Nissan Qashqai New 2014 On Boot Load Liner Protection Tray Mat. New! 13 product ratings13 product ratings - Genuine Nissan Qashqai New 2014 On Boot Load Liner Protection Tray Mat. New! 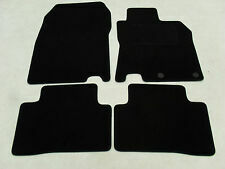 Genuine set of x4 Nissan Qashqai 2 Carpet Mats. Nissan Qashqai (J11) 2014 - 2019 Gledring Rubber 4 Piece Mat Set. Nissan Qashqai (J11) 2014 - 2019 Tailored Rubber 4 Piece Mat Set. To Fit: Nissan Qashqai (J11) 2014 - 2019. Moulded rubber high grip surface. Nissan Ref Number KE7551K021. Set of 4 carpet mats for the new Nissan Juke, the mats are black with 'Juke' stitched on the drivers mat. We are a main dealer for our franchised vehicles. Genuine Nissan Pulsar 2014 Velour Carpet Car Mats. Front & Rear KE7553Z021. Novline Nissan Qashqai 2014 - 2019 Boot Liner (MAT041). Novline custom fit boot liners are designed specifically for each car model, to ensure great fitting. Flexible - unlike plastic liners. Allowing access to spare wheel. Part number; KE7553VV20. Nissan Note E12 (2013-Onwards). 5 out of 5 stars - Genuine Nissan Note Car Floor Mats Textile Front & Rear Set of 4 KE7553VV20 New! 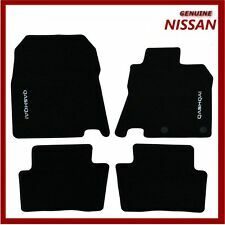 10 product ratings10 product ratings - Genuine Nissan Note Car Floor Mats Textile Front & Rear Set of 4 KE7553VV20 New! 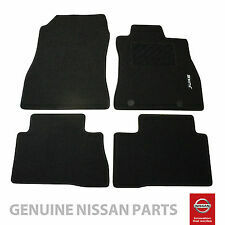 4x Nissan Juke Genuine Car Floor Mats Tailored Rubber Front Rear KE7581K089. Condition is Used. Dispatched with Royal Mail 2nd Class. NISSAN PULSAR 2014-onwards. Fully tailored car mat set in Black with Black Trim made from a durable650g pile carpet specifically designed for the automotive trade with an anti-slip granular rubber backing. Genuine Nissan Leaf 2018 EV Velour Carpet Floor Mats. KE7555S001 New! Genuine Nissan Leaf 2018 EV Velour Carpet Floor Mats. KE7555S001 New! Nissan Leaf 2018 EV. 1 Year Warranty. 4.5 out of 5 stars - Genuine Nissan Leaf 2018 EV Velour Carpet Floor Mats. KE7555S001 New! 3 product ratings3 product ratings - Genuine Nissan Leaf 2018 EV Velour Carpet Floor Mats. KE7555S001 New! THESE MATS WILL NOT FIT A QASHQAI 2. 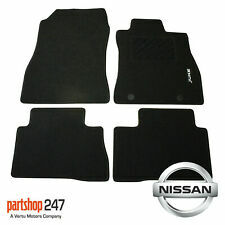 Set of 4 Nissan Juke floor mats. Still in cellophane, these mats are new, complete and in great condition. Give your car that high class finish with our luxury customisable car mats. Made from the high grade automotive carpet for NISSAN QASHQAI 2007-2014 ,and not only do these mats look great but they have excellent durability and longevity. Ref Number KE7585X489. Set of 4 rubber mats to fit the Nissan Navara D40 Double Cab (2010 - 2015). We are a main dealer for our franchised vehicles. Desira Group. 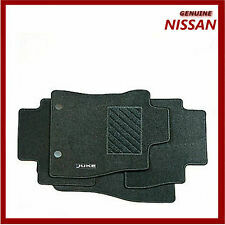 Genuine Nissan Leaf ZE0E Floor Mats Front And Rear Carpets KE7553NL20 New! 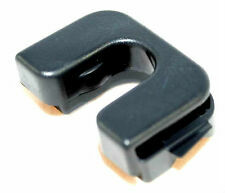 Part number; KE7553NL20. Nissan Leaf ZE0E. •Nissan label stitched on the driver mat. •Driver mat with heelpad (except in the case of LCV floor mats. •Anti slip rubber granulate backing for added security. ). 5 out of 5 stars - Genuine Nissan Leaf ZE0E Floor Mats Front And Rear Carpets KE7553NL20 New! 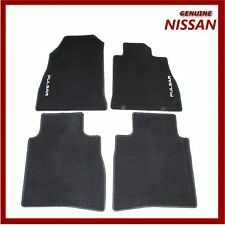 18 product ratings18 product ratings - Genuine Nissan Leaf ZE0E Floor Mats Front And Rear Carpets KE7553NL20 New! NISSAN JUKE 2010-Onwards Fully tailored car mat set in Black rubber with Black Trim made from a durable rubber specifically designed for the automotive trade with an anti-slip backing. This set comes with the Nissan style fixings where applicable that connect to your cars own fixings locking them into place or with our own unique universal fixings that stops them riding up onto the pedals which of course can be a hazard. NISSAN JUKE (2010 ONARDS models). A set of 4 carpet car floor mats tailored specifically to fit the. Features of TAILORED Carpet Car Mats Fully tailored for a perfect fit. Perfectly Tailored to the Footwells of Your Car. Give your car that high class finish with our luxury customisable car mats. Made from the high grade automotive carpet for NISSAN NOTE 2006-2013 ,and not only do these mats look great but they have excellent durability and longevity. Part Number KE7584E289. Part No: KE7584E289. Genuine Nissan Qashqai 2014 on Rubber Car Floor Mats. 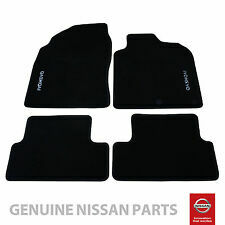 Genuine Set Of 4 Nissan Qashqai 2014 on Car Floor Mats. Part Number - KE751JX089. Nissan NV200 2010- Onwards (Right Hand Drive Only). 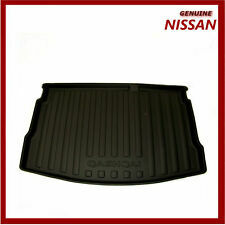 New Genuine Nissan Rubber Floor Mat Set With Embossed Logo. Front Pair Only. Channel Islands, Isle of Man, Scilly Isles, Scottish Islands, Scottish Highland, Northern Ireland, Isle of Wight. Nissan 200sx S14a Centre Console Surround with buttons. Good condition. This advert is for 1 parcel shelf clip for the front of the parcel shelf. Compatible for Qashqai J10 2007 - 2014. 5 out of 5 stars - Genuine Nissan Qashqai J10 Front & Rear Luxury Velour Carpet Mats KE755JD011. 67 product ratings67 product ratings - Genuine Nissan Qashqai J10 Front & Rear Luxury Velour Carpet Mats KE755JD011. Part number; KE7554K001. Nissan Navara NP300 D23 2016 Onwards. Give your car that high class finish with our luxury customisable car mats. Made from the high grade automotive carpet for NISSAN JUKE 2010> ,and not only do these mats look great but they have excellent durability and longevity. Genuine Nissan Juke 2014 2WD Rubber Soft Boot / Trunk Liner.